The world is a beautiful place, and with so many cultures out there, there are endless design styles to choose from. Everyone's ethnic influence is important. A placemat adds a little flair to a table. It gives a person their own personal space to enjoy a nice meal. 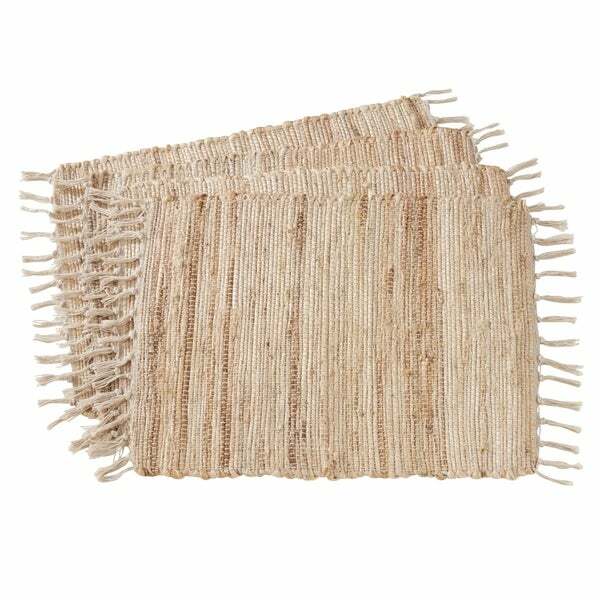 This 100% jute, oblong-shaped placemat tells its own story without uttering a word. Dining table placemats help protect your table against any damage, food debris and spills. Comes in a set of four, which is perfect for everyday usage or a quaint dinner party.